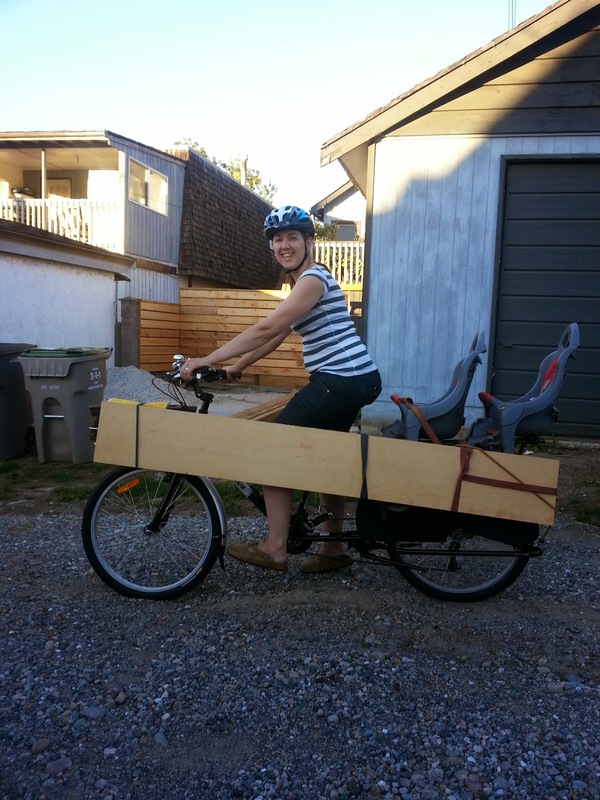 Spokesmama: Who needs a minivan? We've got a Yuba Mundo! Who needs a minivan? We've got a Yuba Mundo! I'm kind of an Internet addict (I know, surprising for a blogger, right?) so I usually have at least one or two devices (tablet, smart phone, laptop or netbook) sitting near me at home. The laptop generally sits on a little table near the couch, ready at any moment to Google something, show Linnaeus a video on YouTube of something I'm trying to explain, or just write a blog post when inspiration strikes. However, lately, both children have taken up a new hobby involving the laptop: removing as many keys as they can when I'm not looking. So far, we've been able to reattach all of them, but I'm a bit worried the baby might actually eat one if I don't catch her in time. Her favourites to go after are those tiny little arrow keys on the bottom right of the keyboard, which are definitely swallowable. So my solution was to put the laptop--any other technological gadgets--out of their reach. We don't have a lot of furniture that's tall enough to fit the bill in our living room, nor do we have room for more, so a wall-mounted shelf is about the only option. I know of the perfect one from Ikea... but they still haven't settled with their locked out workers, so we won't be shopping there. I've been haunting Craigslist, looking for the one I want & had no luck in the past few weeks, until tonight. Yesterday I saw this ad listing some Lack shelves, among other things, posted just a half hour before. Free! In the lane! Only 2.5km from my house! So I tossed some bungee cords into the Bread Basket on the front of the Yuba & pedalled up there in ten minutes. I found the house easily, biked around back & just as I was dismounting, I hear my name called from the deck of the house. It's Jeffrey, one of the friendly Bike Doctor staff I've had the pleasure of dealing with many times. What a coincidence! After poking through the pile of stuff he's trying to get rid of, I settled on one six foot long shelf that was in decent condition & then proceeded to try to attach it to the bike. It was too long to strap to the running boards on the back rack--I would likely have hit the end going over the speed humps on the way home. Then Jeffrey thought maybe we could attach it more vertically, but with both child seats still on the rack, the shelf just didn't really fit. Jeffrey offered to deliver the shelves in his van, but I didn't want to admit defeat just yet. Then I remembered seeing surfboards attached to the side of people's Yuba Mundos & tried strapping the shelf to the Bread Basket at the front & the side of the Peanut Shell seats at the back. This works because, unlike a lot of other bike baskets, the Yuba Bread Basket is mounted on the frame, not the handlebars or forks, so it doesn't turn with the wheel. There was plenty of clearance between the shelf & my leg, so it was no problem to ride with it strapped on that way. Problem solved!